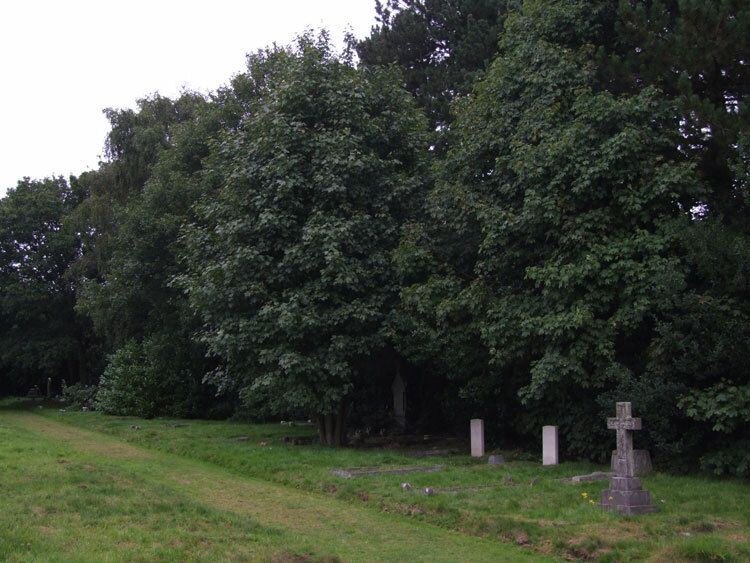 Aldridge (St. Mary) Churchyard Extension, contains 7 burials from both the First and Second World Wars, with three being for the First World War. One of those buried is a soldier who served with the Yorkshire Regiment. We are very grateful to Richard Roberts, <richard.nsw@googlemail.com>, for providing the photographs. 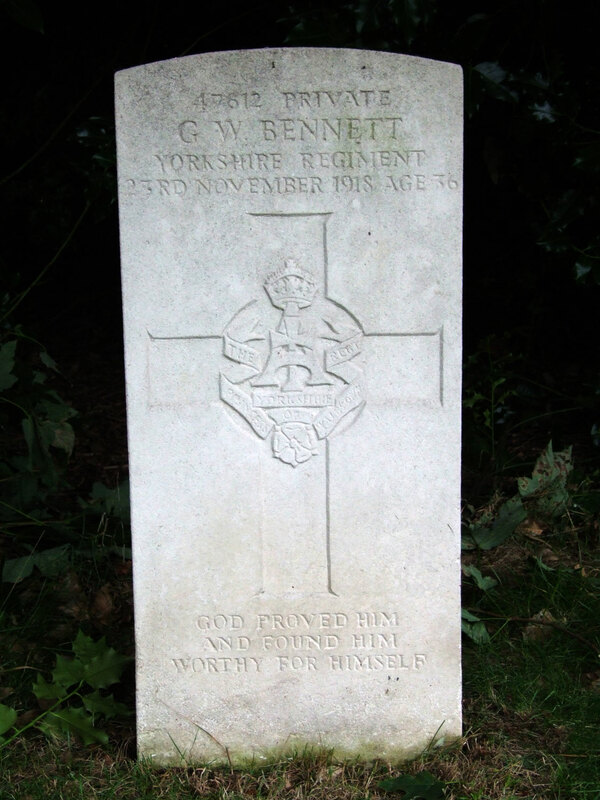 Private George William Bennett. 47612. The Yorkshire Regiment, transf. to (457232) 505th Agricultural Coy. Labour Corps. Son of the late William and Elizabeth Bennett; husband of Lucy Alice Bennett, of High St., Aldridge. Born in Warwickshire. Died at home 23 November 1918. Aged 36. Born Stratford upon Avon (Warwickshire), Resided Aldridge. Select the image on the left for a larger one which opens in a new window. Aldridge (St. Mary) Churchyard Extension. George Bennett's grave is the left hand one of the two marked by CWGC headstones.